Our very successful design of the original Joseph Joseph Breadbin has been updated by ourselves recently, and is stylish storage solution for the modern kitchen. 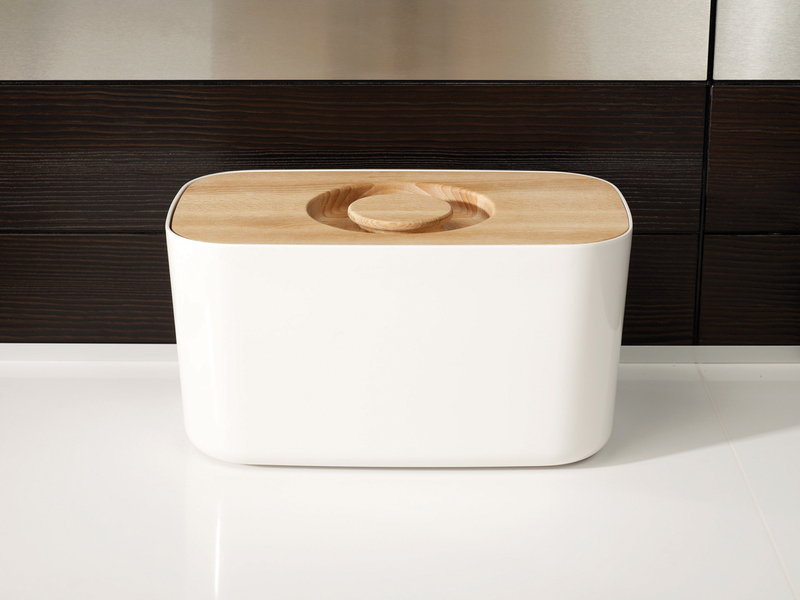 This bread bin is made from 100% food-safe melamine and has a high-quality beech wood lid. The base is very durable and easy to clean and the beech lid has been specially designed to double as a cutting board, thereby saving space as well as protecting the worktop. This new, updated design has a curvier shape, to better complement our range of melamine storage containers, and practical crumb-catching grooves cut into the face of the cutting board lid.